Last week, Rémy Martin teamed up with Live Nation, the world’s largest live entertainment company, to amplify Season 5 the Producers Series: The Co-Sign at New York City's Bowery Ballroom. During the last several years, Rémy Martin enlisted a phalanx stars such as Timbaland, Mustard, Zaytoven, Mike WiLL Made-It and Wyclef Jean to discover the next big music producer. For Season 5 the Producer Series, the popular cognac brand tinkered their formula and added a new ingredient into the mix. 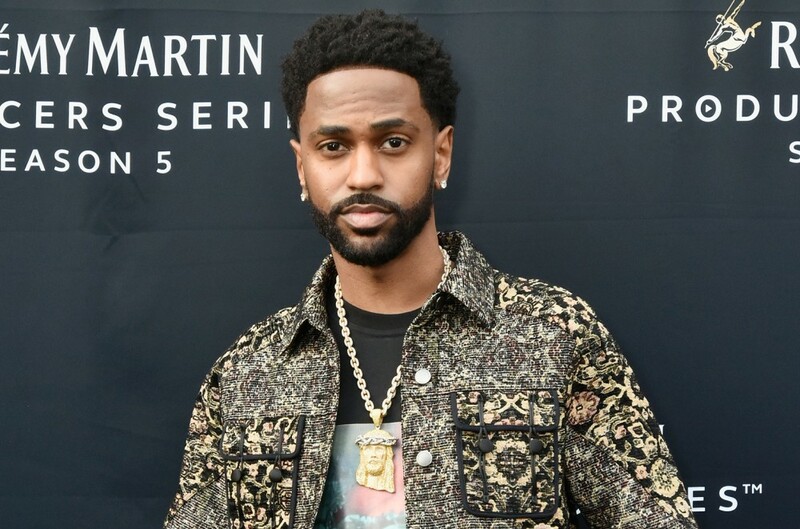 Along with Mustard, Rémy Martin recruited Big Sean for their latest endeavor in hopes bolstering the visibility the competition. Not only will these rookies have the chance to showcase their talents in front both prolific hitmakers, but the winner will also produce a record for Mustard and Sean. With Sean and Mustard both in tow this season, the NYC stop produced a myriad eclectic producers from all across the five boroughs. The judges included Kendall “Sav” Freeman (Co-founder, Best Both Offices), Steve Carless (A&R Universal Music Group) and Orlando Wharton (VP A&R Atlantic Records). The lucky winner who emerged out the talented batch beatmakers was St. James The Producer. Not only did James dazzle with his production prowess, but he also cemented his place as a finalist for the competition finale in Los Angeles on Sept. 26. Before Sean and Mustard head over to the next few cities in search the next big producer, the Detroit MC spoke to Billboard about the ingredients needed to become a go-to producer in hip-hop, his first ever studio session, the emergence Key Wane, Kanye's involvement in G.O.O.D. Music's recent releases and why he'd love to be Pharrell for a day. Check out the interview below. What made you decide to take part in the Producer Series with Remy Martin this season? It just seemed pretty organic. I don't really do things that are contrived or do things that are just for the money, or nothing like that. It was something that I genuinely had an interest in because I know how it is to have that dream. Even though I'm a rapper, I came up as a lyricist. I know what's it like. I came up with producers, too. I know what it's like to make those beats in the basement or in your room and I know the hunger. I know what it's like to have a dream and you wake up having that feeling wanting to execute. That's your whole purpose. That's one the reasons I did it: to help find new talent and shed some the light I have onto it and hopefully, put somebody on. Tell me about the first studio session you ever had. It had to be back when I was 11 or 12. It was with one my homies, Sean Menifee. He was definitely one my mentors. I was like 12 and we were in his basement. He had a studio set up down there and it was me and a couple my friends. We were just recording. We'd get the track, work on it, get a little skeleton and then just record whatever we just came up with. There's nothing like that chemistry when you and a producer link up and make something from nothing, you know? Music is just one the most organic things because you're really pulling stuff out the universe,you know what I'm saying? You start with silence and then by the end it, you have your own product. What are the ideal traits needed to become a good-to-producer in hip-hop? You just gotta really bring something to the table. I mean, the whole world is really just based on supply-and-demand, feel me? So, if you supply something that's in-demand and that make people feel a certain way, then that's your whole way eating. That's with any field, you know? If you supply something that people demand, love, need or that they can relate to, that's what's going to set you apart and that's what's going to keep you busy and employed. You and Mustard teamed up on the “IDFWU” record. Talk about how you both plan to bring that same chemistry from the studio over to this competition. I mean, me and him have made a lot big records. “IDFWU” is the biggest, but we did a lot on Dark Sky Paradise. He did a song called “Deep” for me and Wayne. He did “I Know” with me and Jhene Aiko]. Him and Key Wane actually collabed on a lot those. I mean, on my last album I Decided], he did one my favorite songs “Owe Me,” which I love. I just feel like the trust is there first and foremost. I feel like you also gotta have the same goal in mind. You gotta have the same intention. If you're not on the same page, then it's not going to come out right and I think that's one the keys to having that relationship between a producer and a songwriter. You just walked into my next question. What ingredients do you think are needed to form a strong relationship between a producer and a rapper? Like I said, I think just being on the same page and having the same end-goal. You know, being open-minded, too. Not being so stuck in your ways and that you're not willing to try things. Sometimes, you gotta let the producer be the producer and sometimes, the producer gotta let the artist be the artist. We help each other out a lot times, too, you know what I mean? I'll tell him what I like in the beat and what I don't like. He'll tell me what he thinks and that's what it's all about dog, just working together. Obviously, there's only going to be one winner for this competition. What's the best advice you would give to those who aren't able to advance into the finale in Los Angeles? Well, just know that you're a product the energy you're putting out. As long as you keep that positive energy and that energy wanting to network, you put yourself out there, you'll be successful and you'll get your chance. Just keep perfecting your craft and then when you get that one chance to play your beats and to show f, show your light and your talent, you'll be able to shine. If you can give me your top-three favorite rapper/producer combination all-time, which three would you choose and why? I'd pick DMX and Swizz Beatz because I really loved that era in the '90s. It really inspired me when I was coming up. Lil Wayne and Mannie Fresh and Me and Key Wane, too. Just because we're both from the city Detroit. We got a lot work to do still, but I really feel like he carved a lot the sound from my Detroit mixtape, which is one my favorites. He's on every project and I think all those collabs earlier with Mustard, Key Wane was a part . Key Wane did “Play No Games,” he did my favorite songs and I think me and him got crazy chemistry. He also works well with every producer I've worked with. Like with Mustard, he works well with him. If I'm working with somebody else or anybody, he can adapt to them and can bring his flavor to it. Another duo I like is Kanye and JAY-Z. Like from The Blueprint era. What was it about Ye and Hov that you appreciated so much from them as a hip-hop tandem? It was such a great chemistry, you know? They brought the soul out each other. Your label G.O.O.D. Music recently finished f their five-week run last month. What impressed you most about Kanye's production throughout those five weeks? I'm just excited that he's pumping out music. Me and him been talking about that for awhile, so I'm just excited to see it all come to fruition. If you could be one producer for a day, who would you want to be and why? I have no idea. Laughs] One producer for a day? I'd probably be Pharrell. Because that's one my good friends and we're both Aries. I just relate to him a lot and he just relates to me a lot. That's just one the flyest motherfuckers all-time. He's one the most freshest and most talented. You know, he's going down as own the few producers on the Rushmore music. Like, for real.